The Library provides free programming to patrons of all ages as an integral part of our services. Programs consistent with the Library’s mission, goals, and objectives are developed to respond to emerging community interests as well as to sustain demonstrated interests and demand. A Programming Steering Committee established by the Public Service Management Team oversees program development. JCPL will offer programs and events for all age groups to enhance the Library experience and provide information to the community. Programming content will be consistent with the Library’s mission, goals, and objectives. Guidelines will provide the criteria for program development. A Programming Committee established by the Public Services Management Team will manage system-wide program development. The Programming Committee will coordinate library-specific programs. 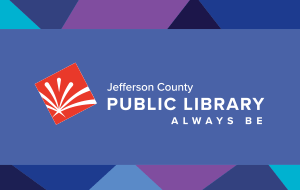 All potential partnerships or sponsorships other than those with the Jefferson County Library Foundation and its related organizations must be approved by the Executive Director.